PhpStorm is a great IDE for PHP development. Its code intelligence system makes it much easier to work with large projects over a normal text editor. However, PhpStorm can do much more than that. It is packed with tons of extra features you may need in your development process. The only drawback of using such a large app, is its performance. Especially with multiple projects open, it can become sluggish, unresponsive or take too much of your ram. I have a few quick tips which made my experience with PhpStorm much faster and more delightful (and hopefully yours too). By default, PhpStorm opens your last opened project on startup. This is alright when you work on the same project most of the days, but when you switch projects often, you might want to disabled this. This prevents that you have to wait for the whole (wrong) project to be loaded. Instead you will get the overview of your most recent projects. 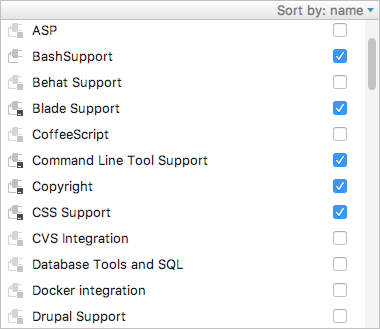 PhpStorm comes with a ton of pre-installed plugins. This also means there are probably much more than you need, or even know about. I found that disabling all the plugins you don’t use, gives a great improvement in project loading time and overall responsiveness. This is a must try; it probably takes less than 5 minutes, and gives you much more joy in your day to day work. Go to: preferences -> plugins and disable everything you don’t need. Don’t worry about disabling too much, it will notify you when a plugin depends on another plugin, and it will ask you to enable a plugin when it thinks it is useful in a certain situation. The actual improvement of this depends on how many plugins you can and want to disable, but for me the difference was noticeable right away. I always check the enabled plugins after every PhpStorm update, to look for new plugins that may have been added. PhpStorm generates a lot of cache files for your projects. Clearing these won’t probably speed up the IDE, but can give you some free space back. I found that after an update of PhpStorm, it sometimes creates a new cache folder, and it doesn’t delete the old one. This is of course a waste of your free disk space. If you used PhpStorm for a long time, with multiple version updates and never cleared the caches, the size of these folders can add up to several GB’s. You can easily claim this space back with this tip. On Mac: Search for folders named like ‘PhpStorm2016.x’ or similar in ~/Library/Caches and remove them. On Windows: Search for folders with ‘.WebIde’ in its name in c:\Users\<user>\ and remove them. 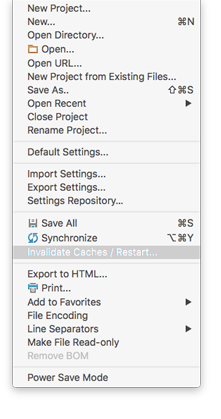 Note that it needs to re-index all your projects after you cleared the cache. This can take a while and it may be slow while doing this, so just let it settle for a minute or two. I hope these tips are helpful in archiving a better and faster experience with PhpStorm and your day to day work.